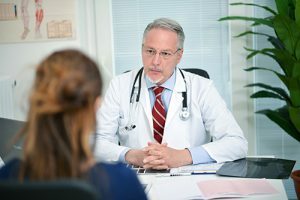 A cancer diagnosis comes with panic, confusion, uncertainty and many questions: what tests should be scheduled, what are the best treatment options, and how to communicate the diagnosis with friends and family members. 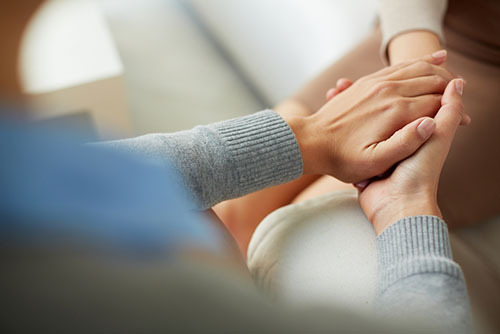 NFCR understands the patient’s frustrations and needs, and we provide assistance through the difficult time by linking a person in need with the NFCR’s Cancer Patient Navigation Hotline, where one may talk with navigators to get professional help. Patients will not have to deal with these important issues alone. NFCR is here to help. The professionals at the NFCR’s Cancer Patient Navigation Hotline are all certified oncology nurses from HonorHealth Research Institute. These nurses have advanced experience and training in providing care and navigation service to cancer patients. In summary, the navigators will help patients manage the path of their disease diagnosis and treatment course. These professionals will ensure patients have the necessary education, support and resources needed to deal with the complex course of the disease. They will not give specific medical advice nor will they interfere with the decisions made by the patient’s medical team. Everything is carefully explained on the call and any questions I have are answered regarding my diagnosis and treatment options. I appreciate the time spent on the call. I also appreciate written information provided. The nurse was diligent, professional, and gave me information to help me understand the other health problems that emerge during this time. Click on the button below to get started, fill out the form* and click the Submit button. A certified oncology nurse Navigator will reply to your request, during a working day, soon after receiving your submitted form. Additional medical information may be requested by the Navigator. Please send the requested information directly to the Navigator. After reviewing all the medical information, the Navigator will email you a toll free 800 number to call at a scheduled time. If necessary, the Navigator will meet with the oncology experts of our Navigation Hotline Medical Team to review your medical information before scheduling a time for you to call. During the call, the Navigator will answer your questions about your diagnosis and treatment, help you with the right questions to ask your doctors, inform you about the clinical trial information that may fit your disease type, and more. After speaking with the Navigator, please email us your feedback at CancerHotline@NFCR.org to let us know if the Cancer Patient Navigation Hotline helped you and how we may serve you better in the future. Sunil Sharma, M.D., MBA, F.A.C.P. 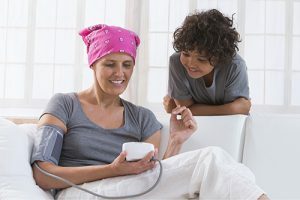 The purpose of setting up the NFCR’s Cancer Patient Navigation Hotline website is to provide patients necessary knowledge, information and guidance from professionals in cancer research and cancer care fields that would help the patients to better manage their medical needs during their cancer-fighting journey. The information, materials, services, products, messages, and other content contained on this website are provided for educational and general informational purposes only. Such content is not intended to be a substitute for obtaining medical advice and treatment from a competent physician, oncologist or other healthcare practitioners. You should not take any healthcare action based upon the content of this website without first obtaining appropriate guidance from a physician or other healthcare practitioners. Giving, receiving, or using the content on this website does not constitute or create a caregiver-patient relationship. 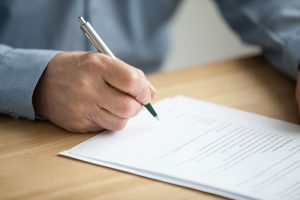 No statement contained on this website constitutes a warranty, express or implied, with respect to healthcare, any standard of care, or any other matter. National Foundation for Cancer Research (NFCR) expressly disclaims all warranties, whether express or implied, including, but not limited to, the implied warranties of title, accuracy of data, noninfringement, merchantability, and fitness for a particular purpose, and any implied warranty arising from a course of dealing or performance or usage of trade. NFCR will not be responsible or liable for any content, advertising, products, services, or other materials on or available from the websites that are linked with this website but are operated by third parties not controlled by and not affiliated with NFCR. NFCR does not endorse and warrant the accuracy or usefulness of any information provided through any such linked-sites. All information provided here will be safeguarded in accordance with the HIPPA rules and other applicable laws. We collect only the personal information needed for the purposes of delivering the Navigation Hotline services to our visitors, allowing the certified oncology nurse Navigator to contact you and provide the medical guidance you need and receiving your feedbacks to our service. You may choose to opt-in for receiving NFCR’s e-mail newsletter and other information electronically delivered to you for communications purposes only. All your personal information will not be disclosed to or shared with any other third-party individual and institutions. You can unsubscribe our emails through the link embedded in the emails, writing to info@nfcr.org or calling us at 1-800-321-CURE (2873). Sunil Sharma, MD, MBA, F.A.C.P. Dr. Sunil Sharma, MD, MBA, F.A.C.P. is the Chief of Oncology Translational Research Drug Discovery at HonorHealth. His interest is conducting translational research on novel therapies for cancer. Currently, the main focus of his drug discovery program is in epigenetic and immune pathways. His laboratory has developed a reversible Lysine specific demethylase-1 inhibitor called SP2577. This inhibitor is a clinical stage compound that is undergoing clinical trials in Ewing’s sarcoma, breast cancer, prostate cancer, and ovarian cancer. He also helped to characterize inhibitors of Wnt (beta- catenin) pathway. The lead compound, BC2059, is undergoing clinical trials in desmoid tumors and Wnt- activated solid tumors. Finally, he recently developed potent activators of innate immunity and we hope that these could be utilized to target cancer as well as viral diseases. At TGen and City of Hope, he aims to collaborate with scientists from various disciplines to advance drug development in related areas. Here at HonorHealth, he plans to collaborate with other oncologists, physicians and researchers to develop novel therapies for colon cancers and help to further strengthen the early phase clinical research. 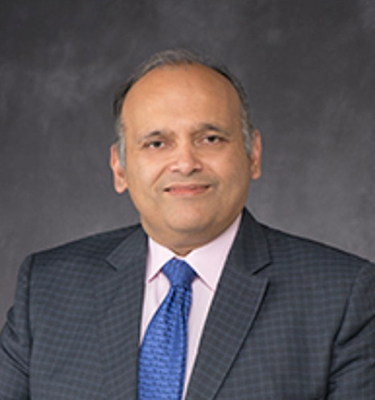 He earned his medical degree at the University of Delhi in New Delhi, India and his Medical Oncology fellowship at University of Texas Health Science Center, San Antonio, TX. Dr. Sharma also has a MBA from University of Massachusetts, Amherst. Dr. Sharma previously served as the Deputy Director of Huntsman Cancer Institute (HCI) to establish and implement strategic priorities. He was the Co-Leader of the Experimental Therapeutics Program to coordinate development of new therapeutics, including image-guided and targeted drug delivery systems. He was also the Director of the Center for Investigational Therapeutics, and an investigator at Huntsman Cancer Institute. His research program focused on the development of chemical inhibitors of identified targets, the preparation of investigation pharmaceuticals from promising chemical inhibitors, and then development of these drugs for Phase I clinical trials. He has extensive experience in drug development, including over 20 clinical trials. His long history of developing novel agents in translational research and early clinical research is exactly why he is such a benefit to HonorHealth. 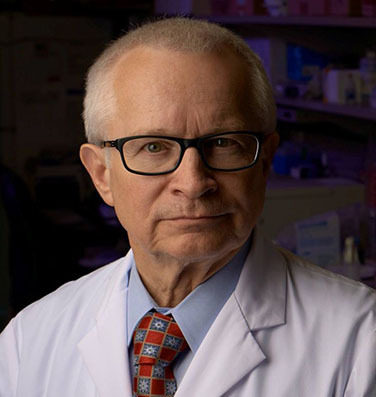 Daniel Von Hoff, MD, F.A.C.P is currently Physician in Chief, Distinguished Professor Translational Research Division at TGen (Translational Genomics Research Institute) in Phoenix, Arizona. He is also Chief Scientific Officer for HonorHealth Clinical Research Institute and the Virginia G. Piper Distinguished Chair for Innovative Cancer Research. He is the Medical Director of Research at McKesson Specialty Healthcare and the Scientific Medical Officer for US Oncology Research and leader of the Translation Oncology Program (TOP) specializing in phase I clinical trials done in the US Oncology Research network. Dr. Von Hoff is also currently the Senior Consultant-Clinical Investigations for City of Hope. He also holds an appointment as Professor of Medicine, Mayo Clinic, Scottsdale, AZ. Dr. Von Hoff’s major interest is in the development of new anticancer agents, both in the clinic and in the laboratory. During his 40 year career he has performed the phase I trials on more than 350 new anticancer agents. He and his colleagues were involved in the beginning of the development of many of the agents we now use routinely, including: mitoxantrone, fludarabine, paclitaxel, docetaxel, gemcitabine, irinotecan, nelarabine, capecitabine, lapatinib, vismodegibm nab-paclitaxel, nal-IRI, and others. At present, he and his colleagues are concentrating on the development of molecularly targeted therapies particularly for patients with advanced pancreatic cancer. Dr. Von Hoff was appointed to President Bush’s National Cancer Advisory Board in 2004-2010. Dr. Von Hoff is the past President of the American Association for Cancer Research (the world’s largest cancer research organization), a Fellow of the American College of Physicians, and a member and past board member of the American Society of Clinical Oncology. He is a founder of ILEX™ Oncology, Inc. (acquired by Genzyme after Ilex had 2 agents, alemtuzumab and clofarabine approved by the FDA for patients with leukemia). Dr. Von Hoff is founder and the Editor Emeritus of Investigational New Drugs – The Journal of New Anticancer Agents; and, past Editor-in-Chief of Molecular Cancer Therapeutics. He is a co-founder of the AACR/ASCO Methods in Clinical Cancer Research Workshop. Dr. Von Hoff is the leader of the SU2C Pancreatic Dream Team. He did his post-doctoral training at The Salk Institute for Biological studies. He is also proud to have been a mentor and teacher for multiple medical students, medical oncology fellows, graduate students, and post-doctoral fellows. Joyce Schaffer, MSN RN AOCNS is the Nurse Navigator for the oncology clinical trials department at HRI. 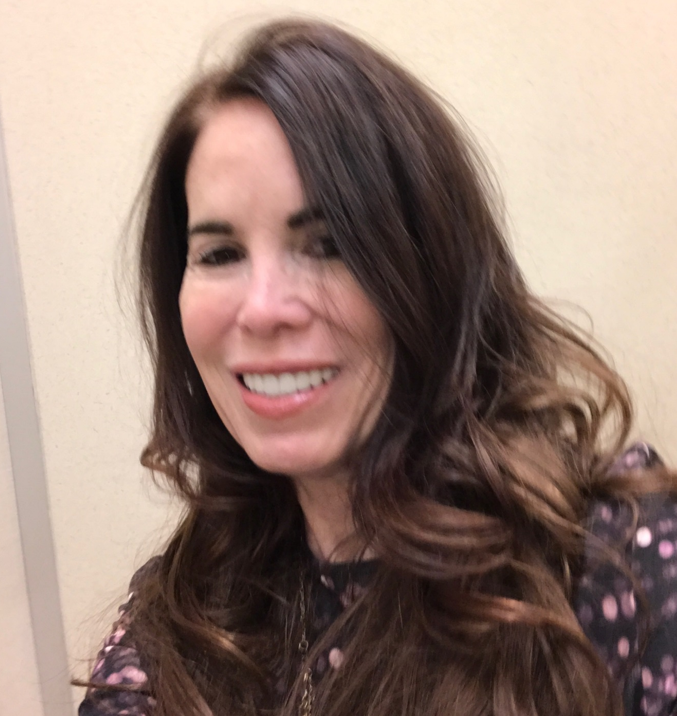 She has over 25 years of experience in the nursing field working in the areas of general medical/surgical, orthopedics, neurology and oncology. She has advanced practice certification through the Oncology Nursing Society and is Masters Prepared from the University of Phoenix. The past 10 years her primary focus has been in oncology clinical trials providing education and support for patients and their families in the cancer treatment journey. Her passion is increasing awareness of the importance and accessibility of clinical trials in a person’s personal cancer journey. 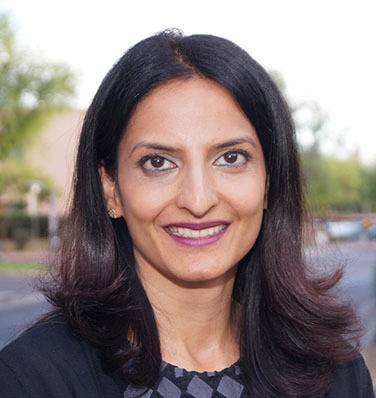 Dr. Jasgit Sachdev, MD is a medical oncologist and clinical trial investigator at the Virginia G Piper Cancer Center Clinical Trials at Scottsdale Health Care Research Institute. Dr. Sachdev completed her internal medicine residency training in Phoenix, Arizona and then moved to Tennessee for a fellowship in Hematology and Oncology. She was an Assistant Professor in the division of Hematology Oncology at University of Tennessee for 4 years prior to relocating to Scottsdale in 2011. She leads the HRI program in new drug development for breast and gynecologic cancers, and has been actively engaged in clinical and translational research with a particular focus in triple negative breast cancer. She has served as the principal investigator on several co-operative group, industry and investigator initiated clinical trials. 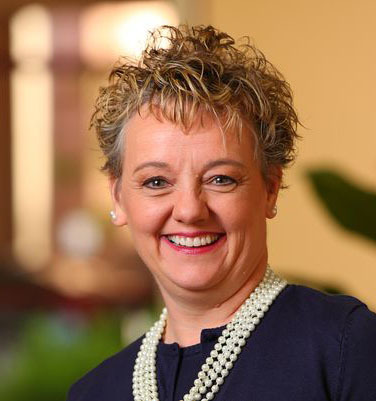 She previously served as an active member of the National Comprehensive Cancer Network (NCCN) breast cancer panel for clinical guidelines development for two years and is an active member of the breast committee and breast cancer working group for the South West Oncology Group. Dr. Sachdev is an ad hoc reviewer for journals like Clinical Breast Cancer, Journal of Clinical Oncology, Breast Cancer: Basic and Clinical Research among others. She has presented several abstracts and posters at national meetings and has published peer reviewed manuscripts related to her research. She consults on patients with breast and gynecologic cancers and evaluates them for phase I trials of novel agents with potential activity in these malignancies. Frank Tsai, M.D., a medical oncologist and hematologist, received his Bachelor of Science Degree from the Sophie Davis School for Biomedical Education at the City College of New York and the Medical Doctorate from the State University of New York (SUNY) at Stony Brook School of Medicine. 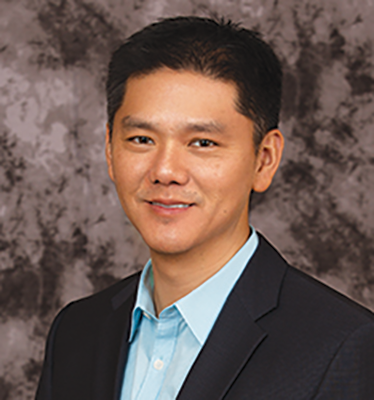 After completing his internship and residency in Internal Medicine at the SUNY Stony Brook School of Medicine, Dr. Tsai received his oncology and hematology fellowship training at Boston University School of Medicine. Prior to moving to Arizona in 2013, he was an attending physician at the Memorial Sloan-Kettering Cancer Center in New York where he was involved in institutional guideline committees, clinical trials and international consultations. Dr. Frank Tsai also believes that excellent patient care is a critical component of good medicine. He has been nominated by cancer patients for The Arnold P. Gold Foundation Award that recognizes physicians for their integrity and compassionate care. In his spare time, he enjoys photography and hiking with his family. Vivek Khemka, MD, MBA, FACP joined HonorHealth Research Institute in late 2016. He has been practicing medicine for over two decades. He completed additional training in the northeast and moved to Arizona into academic medicine in 2008. He has been in the Phoenix valley since then at different centers in clinical practice and clinical trials. He has been closely involved in clinical trials development and is an experienced clinical trials investigator with focus on gastrointestinal malignancies and immuno-oncology and has published in this area. In addition to his clinical practice and research background he also received his executive MBA from the Thunderbird School of Global Management and brings diversified perspectives to our clinical trials program. As lead Scientific Manager in Oncology/Early Detection, Dr. Haag develops and implements exploratory and translational research bridging science and clinic. Dr. Haag develops clinical trial platforms dedicated to the development of novel diagnostics and therapeutics. Currently, her focus is Oncology-Early Detection at HRI targeting pancreatic cancer with Dr. Erkut Borazanci and Dr. Von Hoff. We are establishing a database to delineate a pattern of characteristics, and researching molecular based technologies to map novel biomarkers for early detection. Our early detection program for pancreatic cancer has expanded to include breast, and ovarian cancer, working with Dr. Jasgit Sachdev, Medical Oncologist. Dr. Haag has been collaborating and sharing resources, data, and outcomes with other institutions (e.g., UA Cancer Center, Hoag Institute, Baylor, TGen, and Ochsner) in molecular biology, molecular genetics, and clinical oncology for early cancer detection. Recent work includes partnering with two other institutions on a project titled, Early Detection of Pancreatic Cancer using a Novel Tumor Specific Antibody. The implications of this work suggests that non-invasive testing is improving for detecting pancreatic cancer and may be a consideration for clinical trial design in cohorts of those individuals at risk of the developing pancreatic cancer. We have also been collaborating on a multi-institute, multi-investigator effort regarding Early Detection of Breast Cancer in Dense Tissue: A Novel Multi-Modal Strategy. Dr. Haag is collaborating with the Navigation Hotline initiative, working closely with the team Directing oncology patient research, investigation, coordinated care, self-advocacy, education, and referrals in the cancer care continuum. 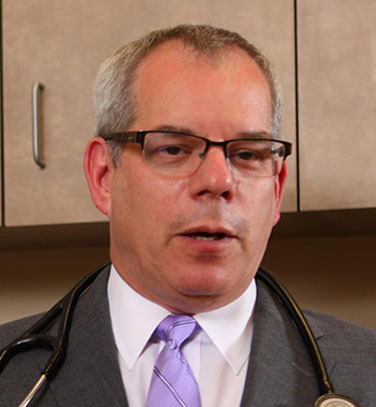 Dr. Michael Gordon is a medical oncologist with the Virginia G. Piper Cancer Care Network and Medical Director of the HonorHealth Research Institute Clinical Trials Program. Dr. Gordon is Professor of Clinical Medicine at the University of Arizona College of Medicine, Phoenix and is actively engaged in the education of medical students. Dr. Gordon’s principle interests have been in the development of new cancer therapies with a focus on targeted therapies as well as drugs that affect angiogenesis (tumor blood vessel supply) and immunotherapy. His disease focuses include kidney cancer, melanoma, prostate cancer, gastrointestinal stromal tumor (GIST) and ovarian cancer. Dr. Gordon received his B.S. degree in Biomedical Sciences from the Sophie Davis School for Biomedical Education at the City College of New York and his medical degree from the State University of New York at Buffalo School of Medicine. Following his graduation from medical school Dr. Gordon performed his internship and residency in Internal Medicine at the University of Chicago Hospitals and Clinics from 1985 through 1988. After completing his fellowship in Hematology/Oncology at Memorial Sloan-Kettering Cancer Center in 1991 he accepted a position at the Indiana University School of Medicine as a faculty member in the Section of Hematology/Oncology. During nine years on the faculty at Indiana University, Dr. Gordon played integral roles in the development of the Indiana University Cancer Center’s Biologics and Developmental Therapeutics Program, the Leukemia Program, Clinical Research Office, and the Scientific Review Committee. In 2000 Dr. Gordon relocated to Phoenix to become the Associate Dean for Research for the Phoenix Campus of the University of Arizona College of Medicine and subsequently founded the Arizona Cancer Center’s Drug Development Program in Scottsdale. 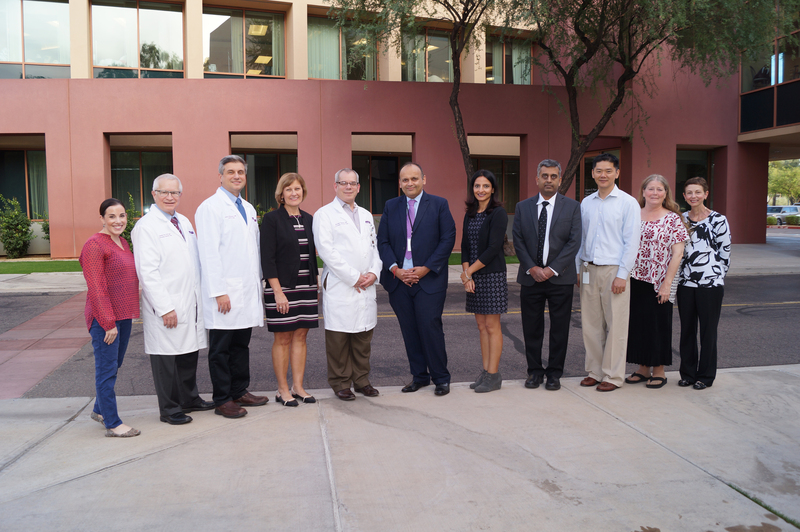 Dr. Gordon led the Arizona Cancer Center’s activities in the greater Phoenix area until November 2005 when the Drug Development Program was converted to Pinnacle Oncology Hematology as a free-standing research practice. 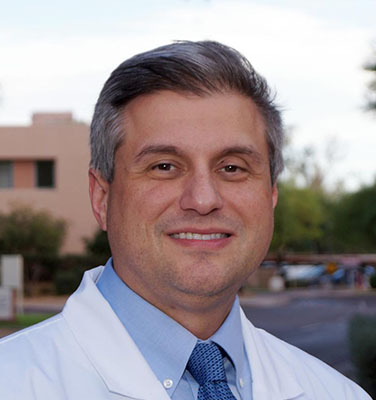 Dr. Erkut Borazanci, MD, MS is a Medical Oncologist and Clinical Investigator at the HonorHealth Research Institute (HHRI) located on the HonorHealth Shea Campus in Scottsdale, Arizona. Dr. Borazanci is one of the medical directors heading the Early Detection Program at HonorHealth focusing on detecting pancreatic cancer early in those who have family history of this silent, but deadly cancer. He holds adjunct appointments at Translational Genomics Research Institute (TGen) and the University of Arizona as a Clinical Assistant Professor. Dr. Borazanci obtained a Master of Science in Biochemistry and Molecular Biology. He also completed medical school at Louisiana State University Health Center in Shreveport focusing on Internal Medicine. He has completed a fellowship in Medical Oncology and was recruited to work as the drug development scholar at HHRI from 2013 to 2015. His specialty is Gastrointestinal Oncology, with a focus on pancreatic cancer and is an active member of the Pancreatic Cancer Research Team (PCRT). Dr. Borazanci is currently working as the Principal Investigator for several clinical trials, many of which are phase I and first in human studies. He also works as a liaison between HHRI and TGen along with several collaborators to bring forth new and promising agents as patient treatment options. How did you hear about NFCR's Cancer Patient Navigation Hotline?